You can definitely find a lot of information on how to properly move your bedrooms and living area as well as how to pack and prepare different items such as furniture, plates, and frames, but there’s not much information out there on how you can efficiently pack and prepare the items in your bathroom. The bathroom, although smaller than other rooms in the home, can be a challenge to prepare for a move, especially if you have a lot of clutter and small items in it! Are you preparing for a move but would like to make sure your bathroom items are prepared and packed in the proper way? Here’s how you can easily and efficiently pack your bathroom items for a move. If you have jewellery in your bathroom, you have the option to store it in egg cartons (the cartons should be empty, of course) so it won’t become tangled. Once the items are inside the carton, tape the carton shut to secure everything inside. You can place your bathroom necessities and toiletries inside a clear plastic bin, so it can be conveniently accessible. Whilst you’re at it, you might as well label the bin so with just one glance, you can tell what’s inside. Doing this makes it easier for you on moving day as well as you will want to get at your bathroom necessities quickly once the day is over. If you have bottles which are already open, such as bottles of shampoo, conditioner, and so on, keep the liquid in the bottles from leaking by opening each bottle and removing the cap, then placing a piece of cling or plastic wrap over the bottle’s opening. Then simply screw the bottle’s cap or cover back on. To further secure and protect small items placed in boxes, line the inside of the boxes with rubbish bags. This way, if the box suddenly breaks open, the items won’t spill out. To prevent mirrors from breaking or shattering, place tape across the mirrors in the shape of an ‘X’. To protect yourself from nicks or cuts due to razors, simply place binder clips on the blades of the razors. If you are worried about your makeup and cosmetics breaking during a move, here’s a simple but effective trick: place cotton balls on the inside of your cosmetics cases. For boxes which are already heavy, but which aren’t sufficiently filled, you can make use of towels. Just place some towels on top of the items in the heavy box so they can fill the space yet not add to the weight. If you have a claw-foot bath and are wondering how to move it properly, just disconnect it from your home’s plumbing and roll the bath inside a moving cloth or blanket. Remove the bath’s feet and then secure the entire bath with strong straps. 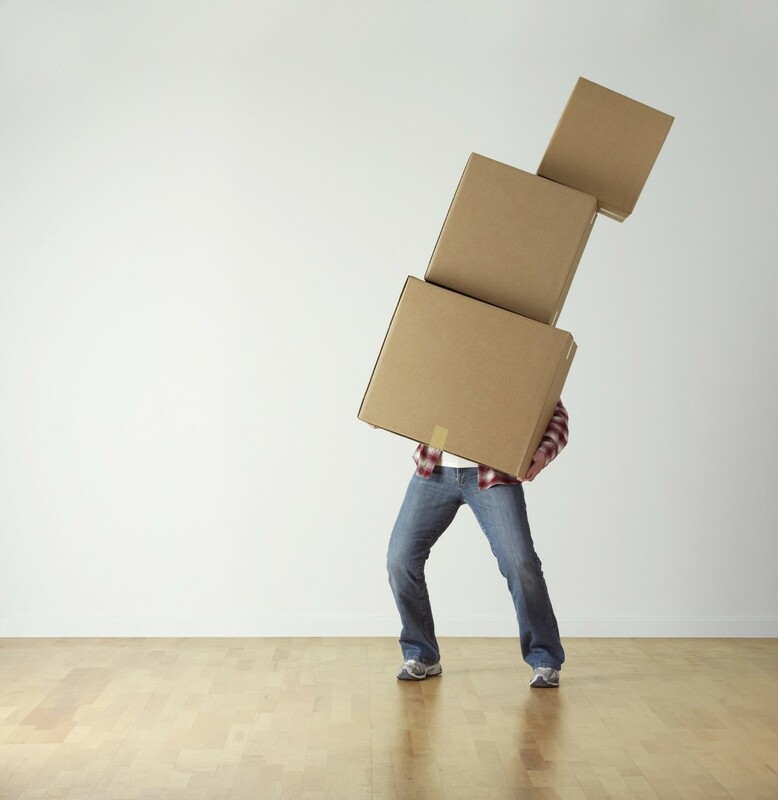 Moving needn’t be that stressful; as long as you know how to prepare for it, you’ll do fine, as the experts in removals in Gloucester from Advanced Removals & Storage will confirm. Good luck, and happy moving!